No more loose papers, random clipboards and sticky notes. so everyone’s on the same page. Assign and track tasks in the one book that you know everyone’s reading. Give your customers the same great experience every time, at every location. 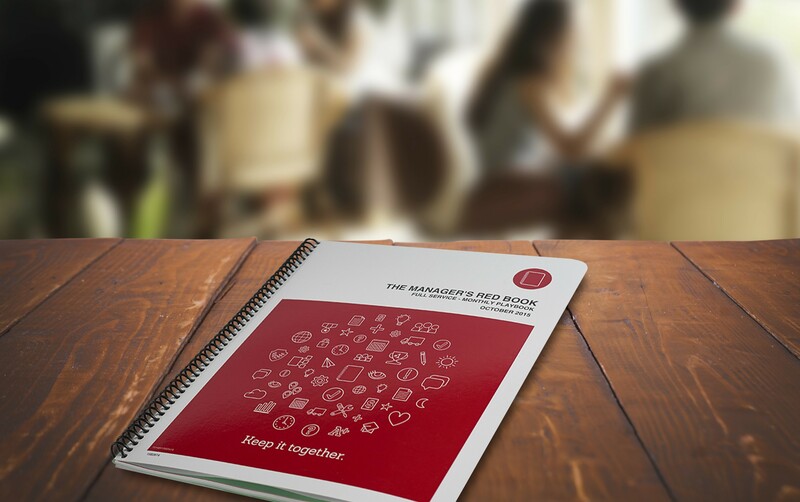 With The Manager’s Red Book, your stores can track critical information, improve shift-to-shift communication and increase employee accountability – all from one convenient location. 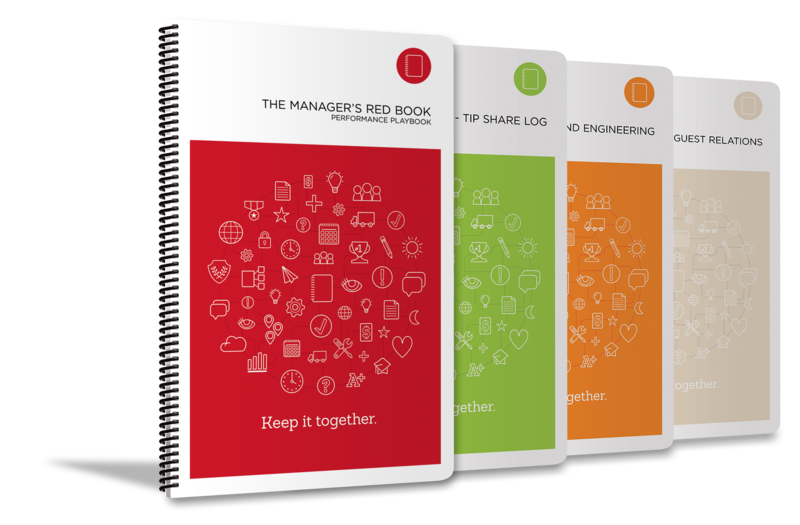 Take your Manager’s Red Book to the next level with store-specific or role-specific data. From last year’s sales numbers, key performance drivers, to training, weather or even branded-marketing pages, we take your information, data and pictures and add it to your daily playbook. Enjoy substantial cost savings using our professional Print on Demand services. Save on printing costs by leveraging our in-house print engine. Eliminate outdated materials that go to waste. From menus to posters, any size, any shape, any material, we are here to print for you! A successful shift doesn’t happen on its own. Every day, dozens of tasks have to be executed to make the operation run smoothly. 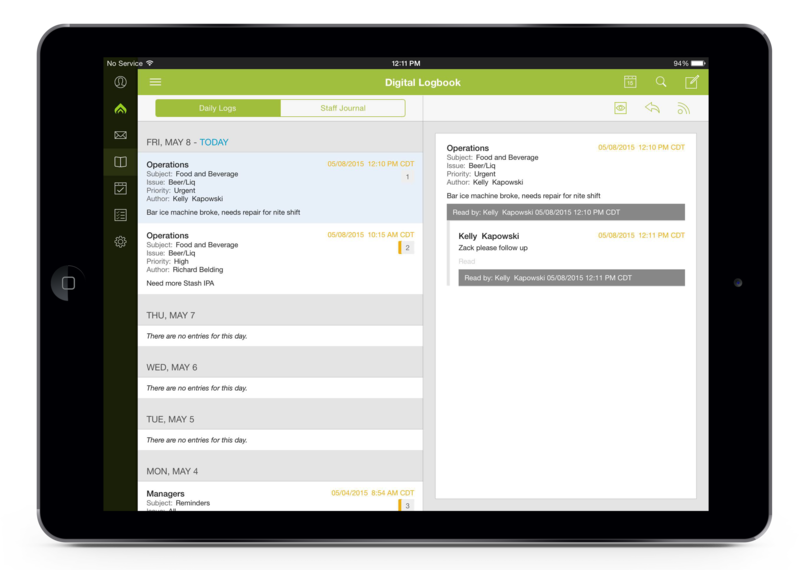 The HotSchedules Logbook keeps all those tasks, maintenance notes and even personnel issues in one spot. Get it as a tab in HotSchedules or as a stand-alone, record-keeping tool that can be managed on-the-go. No more loose papers, random clipboards and sticky notes. 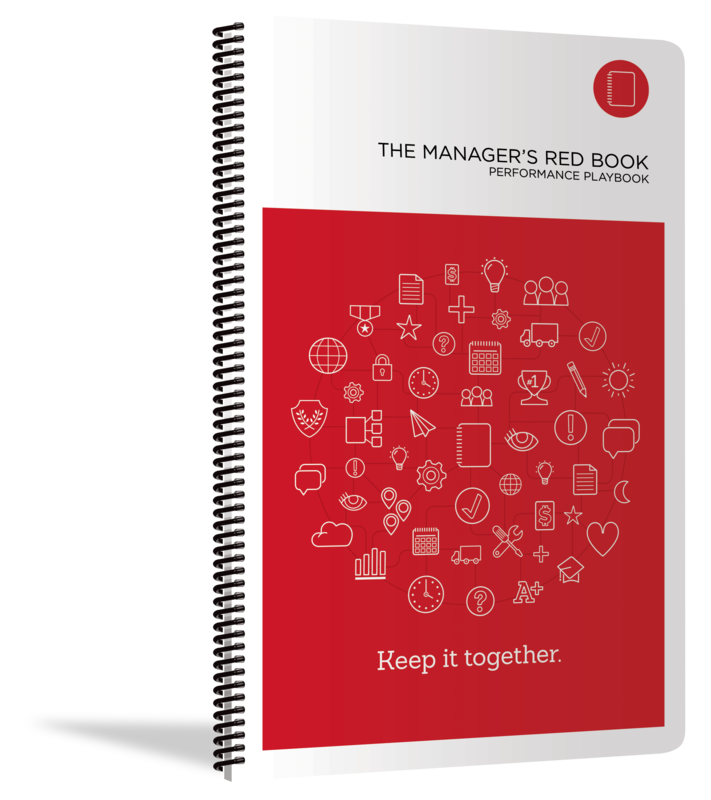 The Manager’s Red Book™ consolidates everything into one place so everyone’s on the same page. Whether you have one location or a thousand, you can replicate the same experience day-to-day and location-to-location so your customers get the same great experience every time. Capture shift notes and document everything from maintenance issues to customer comments. Keep managers in-the-know regarding what is happening from shift to shift and from day to day. Provide historical references that create community.